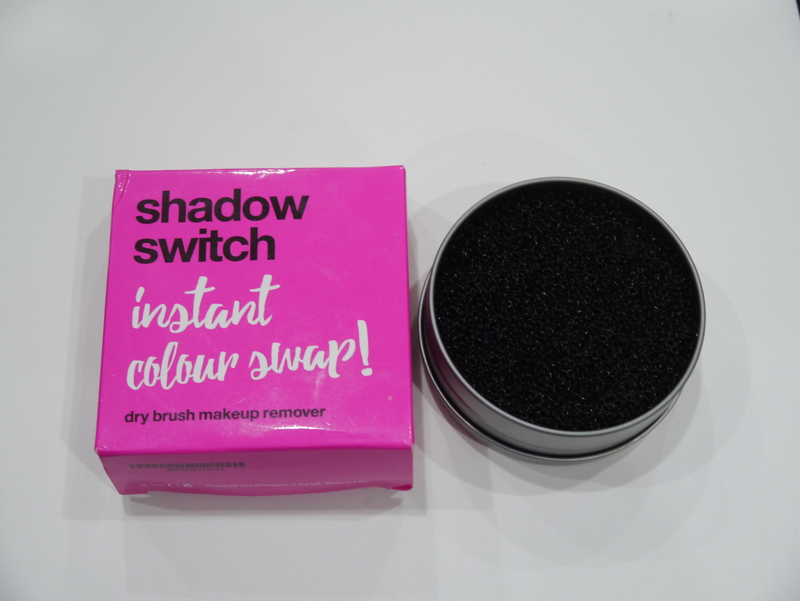 Last month I entered a Twitter contest run by @BeautyEssUK and surprisingly won a Shadow Switch, which is a product that lets you change your eye shadow or powder colour quickly and effectively if you’re limited to a few brushes doing a look with lots of shadow colours. I was a bit sceptical I must admit because I didn’t understand how it would work. When I received it the look of the product wasn’t what I expected at all. With the Shadow Switch there is no need to use any brush cleaner or wet products, you swirl and go. 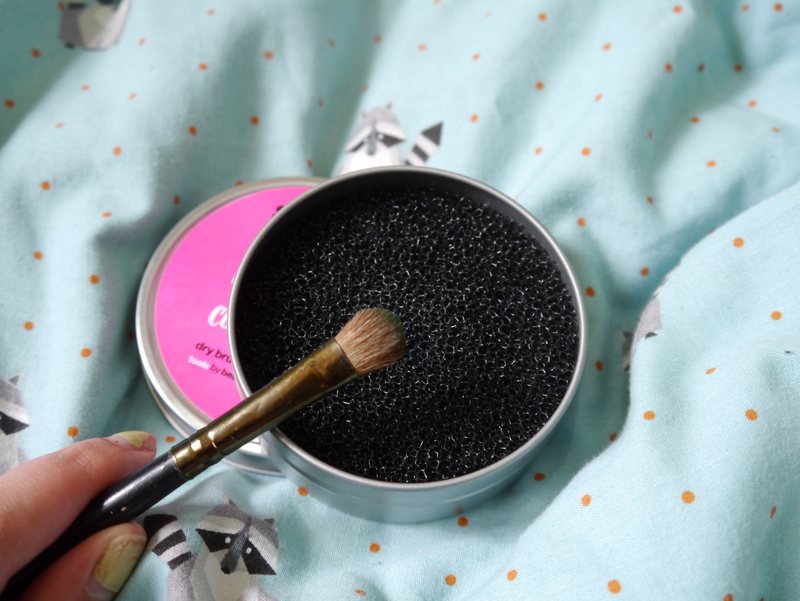 This intriguing product has definitely revolutionised how I use my brushes. This nifty little product retails for £5.99 and you can get it on Amazon. While researching I did find out that other companies have something much similar for a lot more. I came across ones that retail for as much as £24! I have no idea how I’ve never seen something like this before. This product works by literally swirling your brush into the pan. Inside the pan is what I can only describe like the rough side of a sheet of velcro. 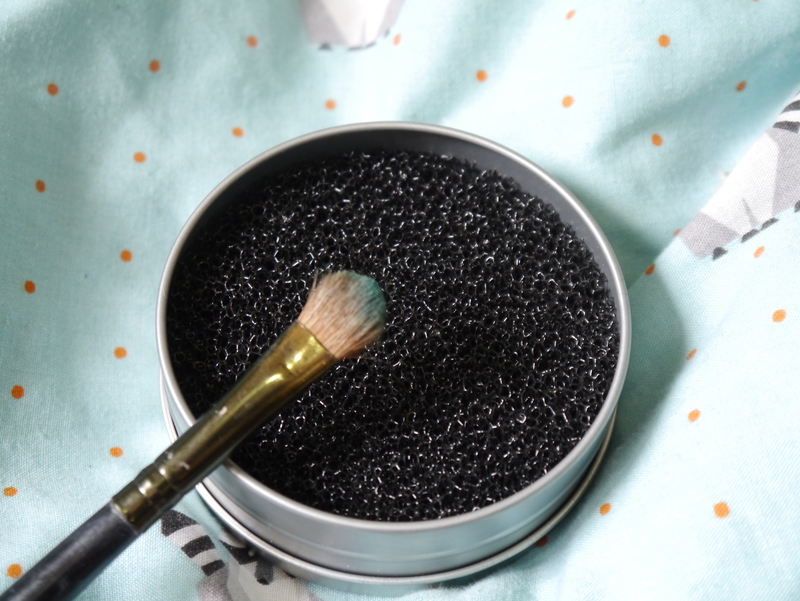 This gets into your brush hairs without damaging them and picks up any powder. This product does not replace your general brush hygiene routine (Such as weekly deep cleaning or sanitise your brushes). I’d only recommend this for personal use or to use on a client then deep clean the material of the Shadow Switch. I have placed it on a background that will help see the product a little better. The first image shows the product on the brush and after a few swirls in the pot, you can see in the second image the colour has virtually gone. I did notice that my brush was a little fluffier than before however I just ran my fingers over it and was back to normal. Using an eye shadow after it I didn’t notice any leftover product from the last colour I used. Marvellous! To clean it says to wash with usual brush cleaner and leave to dry. It didn’t take longer than a usual brush to dry so all in all, brilliant product, especially if you’re a new make up enthusiast or you’re currently building up your brush collection. Posted on October 23, 2016 by sindyydollPosted in Beauty ToolsTagged bblogger, beauty review, Cardiff blogger, make up artist, mua, shadow, shadow switch, shadow switch review, uk blog, UK Blogger, welsh blogger.